The best way to assure optimum chain saw performance is to follow a regular maintenance program. We carry all your chain saw replacement parts needs including bars, chains, sprockets, anti-vibration mounts, sharpening tools, felling dogs and whatever else you need. 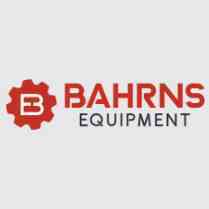 If you can't find what you're looking for, call us at 217-342-2909 or email us at lawneq@bahrns.com and let us help you find the parts you need.